Whether a complex irrigation system or a simple set up, customers will always want some hose pipe, a sprinkler or a hand watering lance for those 'out of reach' corners. 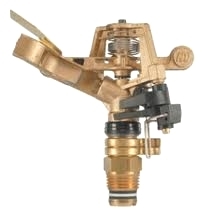 At buyirrigation.co.uk we have selected below some professional products for the serious amateur. Megastar reinforced green hose is a new generation of hose that outperforms all others. It is a food quality anti algae hose that is UV stabilized and completely kink and twist resistant. 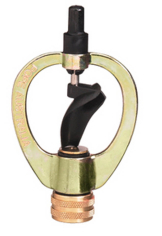 It has a working pressure of 16 Bars and a burst pressure of 25 bars. 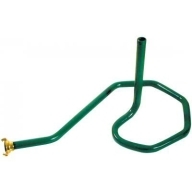 You will not find a better hose on the market. But, and best of all, it is a metallic green colour and not yellow! 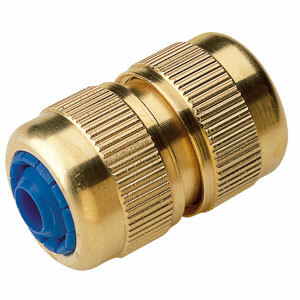 Supplied in 25, 50 and 100m coils, sizes 1/2" (standard garden) and 3/4"
Brass Hose Fittings. Treat yourself to some brass hose fittings. They will not break in the frost, will not rust and last last for years. 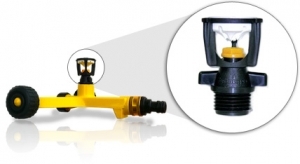 These sprayers and lances have been selected because its what the professionals use. 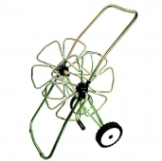 If you walk around most wholesale nurseries and garden centres you will find this equipment. It may be slightly more expensive than the domestic products but should you purchase you will see why. What about a hose trolley? 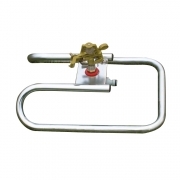 These hose trolleys are strong, epoxy coated steel or stainless steel and designed to give many years of useful service. The selection below is just a small selection of the more common models. If you require a specific model or type please gve us a call.